"The family of the American activist Rachel Corrie, who was killed by an Israeli army bulldozer in Gaza seven years ago, is to bring a civil suit over her death against the Israeli defence ministry. The case, which begins on 10 March in Haifa, northern Israel, is seen by her parents as an opportunity to put on public record the events that led to their daughter's death in March 2003. Four key witnesses – three Britons and an American – who were at the scene in Rafah when Corrie was killed will give evidence, according the family lawyer, Hussein Abu Hussein. The four were all with the International Solidarity Movement, the activist group to which Corrie belonged. They have since been denied entry to Israel, and the group's offices in Ramallah have been raided several times in recent weeks by the Israeli military. Now, under apparent US pressure, the Israeli government has agreed to allow them entry so they can testify. Corrie's parents, Cindy and Craig, will also fly to Israel for the hearing. A Palestinian doctor from Gaza, Ahmed Abu Nakira, who treated Corrie after she was injured and later confirmed her death, has not been given permission by the Israeli authorities to leave Gaza to attend." 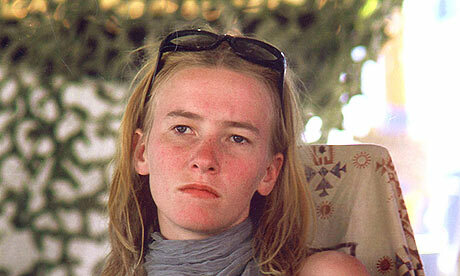 For more information, keep an eye on the website of the Rachel Corrie Foundation for Peace and Justice (a member group of the US Campaign). The US Campaign is calling for a national day of action on March 16--7 years to the day that Rachel was killed by a Caterpillar bulldozer operated by the Israeli military. Find out how you can take action on Rachel Corrie Day by clicking here; and find out more about the national campaign to stop Caterpillar from killing more innocent civilians, destroying more Palestinian houses, and destroying more Palestinian agricultural land by clicking here.